Russian President Vladimir Putin spent the eve of Orthodox Christmas Day playing ice hockey in Sochi. 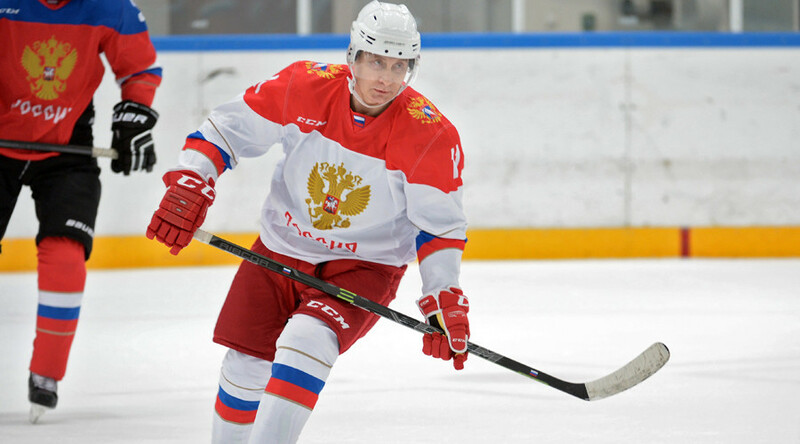 Russia’s leader took to the ice wearing his traditional number 11 jersey. The event marked his first appearance on the ice in 2016. Last year he laced up his hockey skates on several different occasions, including on his 63rd birthday, when he played a game with former Russian NHL stars and Soviet-era hockey veterans.